Have you ever tried to have a conversation with someone through an Ethernet phone? If not, try it! Punch a small hole in the center of the bottom of two cups and thread one end of Ethernet through the bottom of each cup. Give one cup to your conversation partner and keep one for yourself. With cup in tow, walk away from your partner and begin your conversation. You have now established an Ethernet phone! Enabling speeds up to 1000 Mbps, Crossover is a special form of Ethernet in which the send and receive pairs have been reversed. These Ethernet cables can be used to connect one computer to another computer, forming their own mini-network. There is always the option to expand a network by connecting multiple switches and routers. There’s nothing like a good competitive game of Tug of War. A sport that directly puts two or more teams against each other in a test of strength. The teams pull on opposite ends of an Ethernet cable with the goal of bringing the Ethernet cable a certain distance in one direction against the force of the opposing team’s pull. Okay, you’ve caught us! This isn’t a reason you need Ethernet, but it is a reason to buy Ethernet from us! 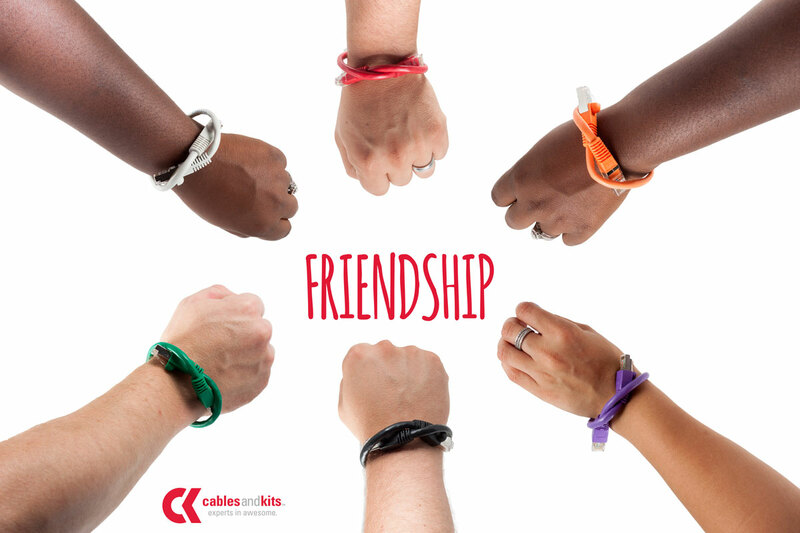 CablesAndKits offers a wide selection of colors, sizes and types of Ethernet. Seriously, if you saw our Ethernet selection, you’d think you were in Ethernet Heaven! It’s that amazing! We understand product selection and availability are essential to customer satisfaction and keeping your business running. Our Lifetime Warranty provides a risk-free purchase and hassle-free returns. Oh, did we mention we offer Lifetime Advance Replacement as well? Yup, we do! Later in life, if your product decides to malfunction, we’ll ship a replacement out to you on the same day you report the issue. As a bonus, we’ll even expedite the shipment if requested. Now that’s what I call AWESOME! Why would you need an Ethernet jump rope? Well, have you ever been bored while you and your co-worker are working on the company’s network? Just break out a 10 foot Cat6A Ethernet Patch Cable and enjoy jump roping to your favorite song!